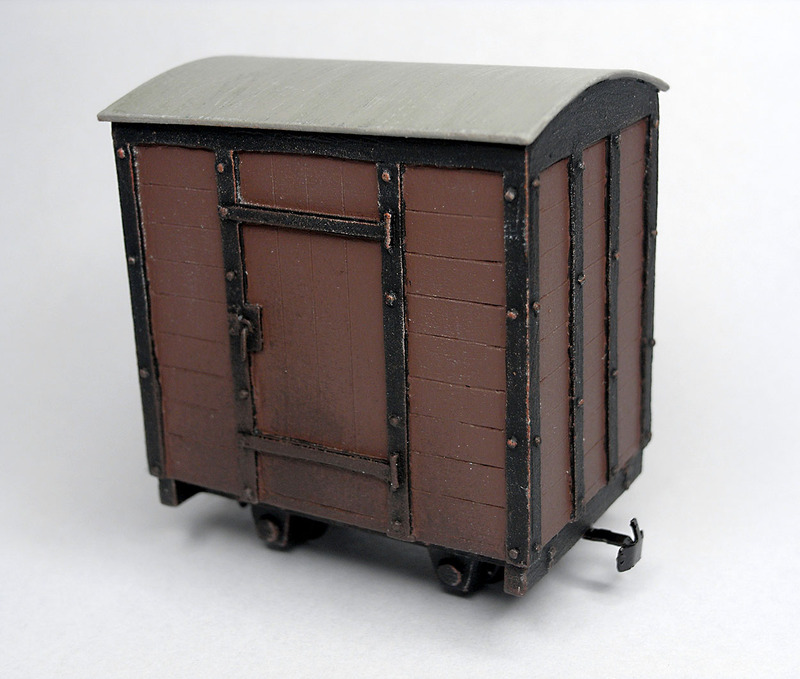 Here is the finished Unit Models O9 box van. No rocket science was involved in finishing it, although a steady hand was useful when painting the iron work details. I used Humbrol acrylics for the basic colours. The body is German Camoflage (160) with Dirty Black (RC401) for the iron work and Engineers Grey (RC413) for the roof. The weathering was done by drybrushing with Citadel acrylics. 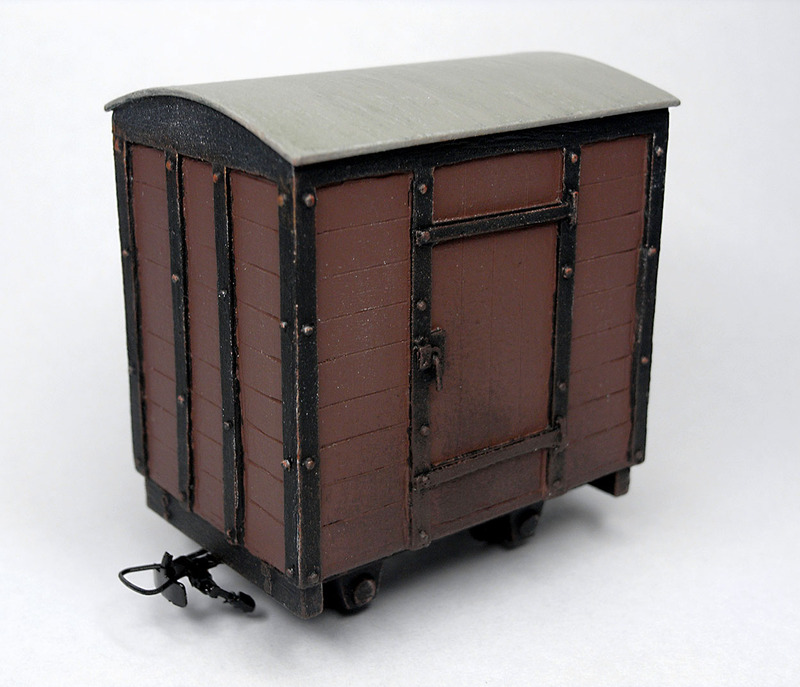 Ulthuan Grey to create a worn look, XV88 mixed with a small amount of Doombull Brown for the rust effect, some Stirland Mud around the bottom of the door and a hint of Caliban Green in places on the roof. A few coats of varnish, some couplings and ‘job done’. I’m rather pleased with it. Many thanks to David Gander for giving me the original kit.